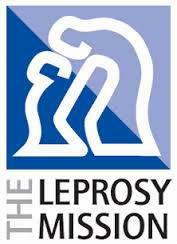 The Leprosy Mission was formed in 1874 by Irish missionary Wellesley Bailey and his wife Alice. By the end of the 1870s they were helping to care for the needs of 100 people affected by leprosy in North India. Today the organisation is working with many thousands of people with leprosy and with education, housing or rehabilitation for those who have received multidrug therapy and are cured, but still in need. While there is an effective cure with multidrug therapy, 85% of the people living in Delhi still believe it is not curable - and that’s just Delhi. The used stamps scheme (run at SHMC by Cynthia Jones) helped to raise £122,610 in 2013. This should encourage everyone to save any used stamps and if you could trim them with a maximum of 5mm round the edges that would be so helpful.